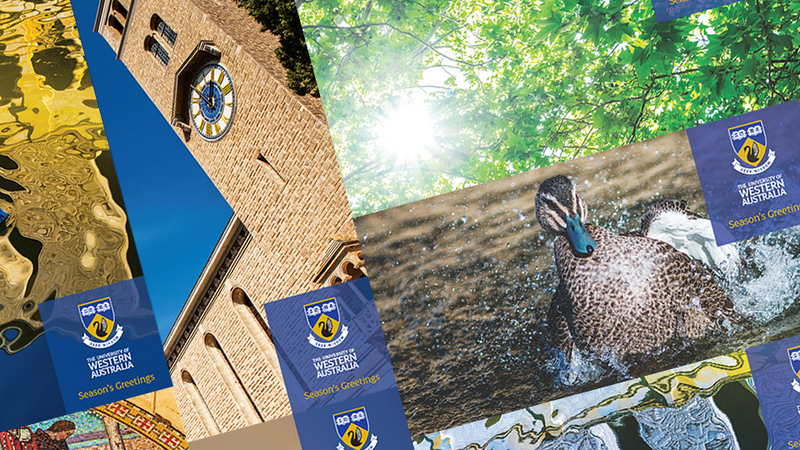 Select from a range of non-UWA themed cards, or our talented design team can create something especially for you. UWA Christmas Cards for 2018 are now available. You can choose from an existing range of printed cards or e-cards for emailing or have an individually designed card (either printed or e-card). It's fast and easy to do. 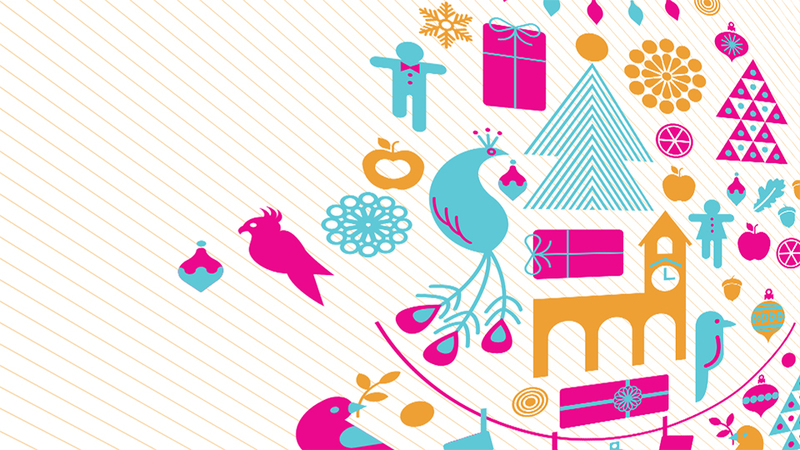 Just log in to UniPrint Online Ordering and click on the Christmas Cards button. You can order packs of 25 cards and add a personalised message on the inside. It takes as little as one minute to create a personalised eCard, ready to send to your colleagues. Select from a variety of background and decoration images. Add a custom message, sign your name and choose your faculty colour. Download the result and attach to email to send to one person or several colleagues. Create as many variations as you like. You want a Christmas card designed specifically for your use? Contact our designers and they will work with you to create an individually designed card (either printed or as an e-card). Do you want us to post your cards for you? We can individually address and post your Christmas cards for you. Send us your message and your address database and we can arrange it all for you. You can even have different signatures or a personalised message for each person receiving your Christmas card. For more information see our mail merge page or send us an email with an overview of your requirements and one of our staff will contact you.